It is proposed that programs admitting nurses, non-nurses and both types of students would be eligible for approval. This recognizes the differences that currently exist among students enrolled in anesthesia programs in various countries. The ultimate goal of offering an approval process for all types of anesthesia programs is to improve anesthesia patient care by encouraging programs to use IFNA’s Educational Standards irrespective of available local resources. All non-physician anesthesia programs would be eligible for any 1 of the 3 categories of approval. This would include programs that require applicants to be nurses as stated in IFNA’s Educational Standards or to have scientific backgrounds that prepare students to be successful in developing the competencies needed to become anesthesia professionals. For the purpose of program approval, admission requirements would need to include an education in nursing or another scientific background that prepares a student to succeed in the anesthesia education program. 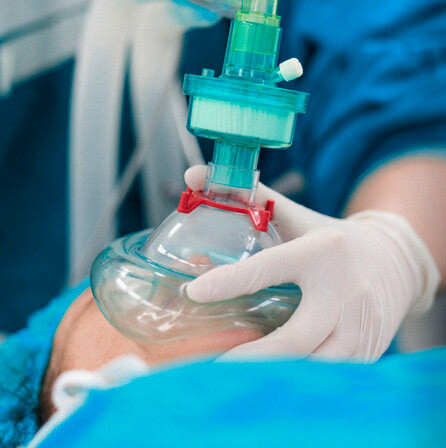 Anesthesia programs from countries that are not members of IFNA as well as those from IFNA member countries would be eligible to apply for approval. If a program is interested in applying for level2 Recognition or level3 Accreditation an eligibility application has to be submitted. Registration (Level 1). IFNA Level 1 “Registration”would require the submission of an Application for Registration 2018 pledging by the anesthesia program to meet the IFNA Educational Standards to the best of its ability. The program’s curriculum would be posted on IFNA’s website with a statement that IFNA had not approved the curriculum but it was being posted for information only. The website would note that the program had committed to meeting the IFNA Educational Standards to the best of its ability. Registration has to be renewed every five years. Recognition (Level 2). IFNA Level 2 “Recognition”would require the submission of an Application for Recognition 2018 pledging by the anesthesia program to meet the IFNA Educational Standards to the best of its ability. The program would also be required to submit its curriculum and related material for review by the IFNA Education Committee. The information would be audited to determine if it met the IFNA Educational Standards. Following the auditing process, the program’s curriculum would be posted on IFNA’s website with a statement that IFNA had reviewed the curriculum and determined it substantially met IFNA’s Educational Standards. The website would note that the program had substantially met the IFNA Educational Standards as determined by an audit of written program materials. Renewal of recognition is due every five years. An Application for recognition renewal 2018 and other related material has to be submitted. IFNA Level 3 Accreditation requiring the submission of a pledge by the anesthesia program to meet the IFNA Educational Standards. The program would also be required to submit its curriculum and related material in a written Self- study for review by the IFNA Education Committee. The information would also be evaluated by an on-site team of visitors to determine if it met the IFNA Educational Standards. Following the accreditation process, the program’s curriculum would be posted on IFNA’s website with a statement that IFNA had reviewed the curriculum, reviewed a self – study, conducted an on-site visit to the program and determined the program substantially met the IFNA Educational Standards. The website would note that the program had substantially met the IFNA Educational Standards as determined by a full review of the program including a written self -study and on-site review. Renewal for Accreditation is due every five years. An Application Renewal Accreditation 2018 and other related material has to be submitted. No fees would be charged for the categories of Registration and Recognition. Programs applying for Accreditation would pay the expenses associated with the site visit and a small administrative fee. Comments on the proposed approval process can be submitted to Mrs. Riesen APAP Manager: apap@ifna.site.